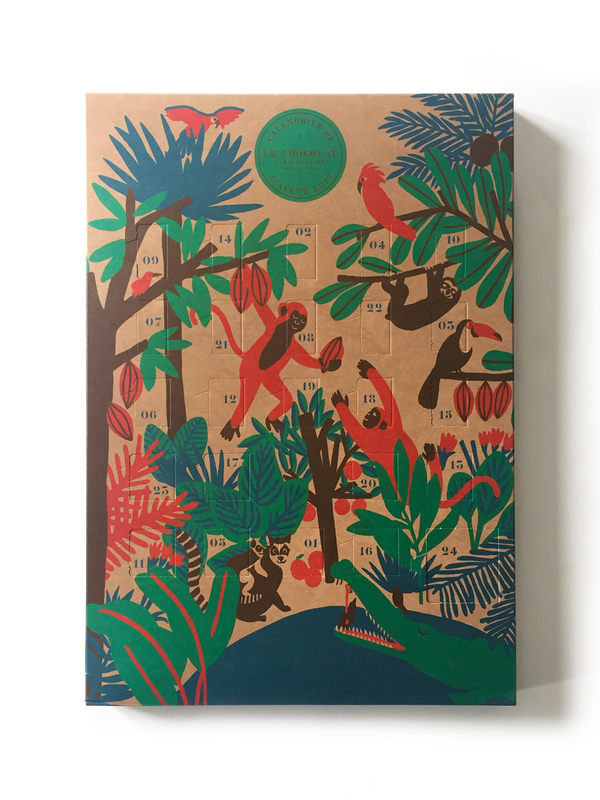 For Christmas 2017, I had the pleasure to illustrate the annual edition of the Advent Calendar of Le Chocolat Alain Ducasse, the chocolate factory of the French Michelin-starred chef, around the themes of the jungle and the origins of chocolate. 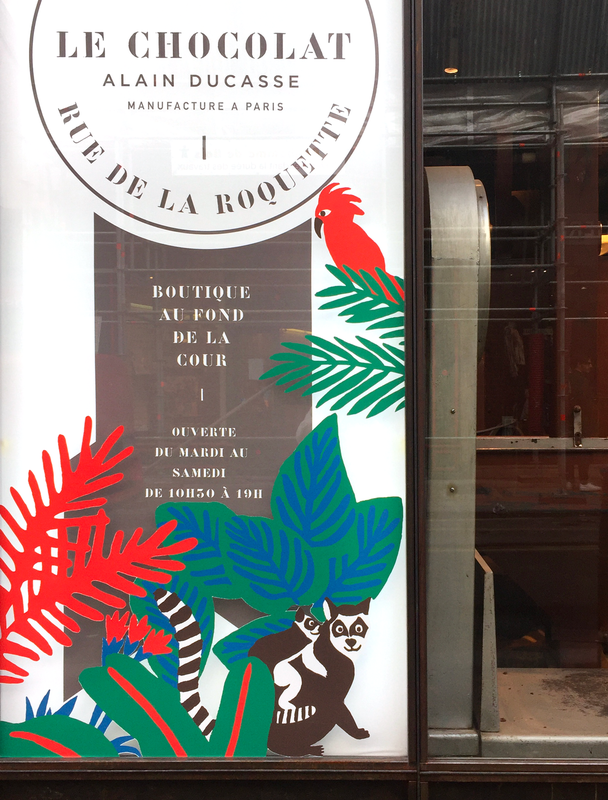 I also made window displays for 3 of their boutiques in Paris. 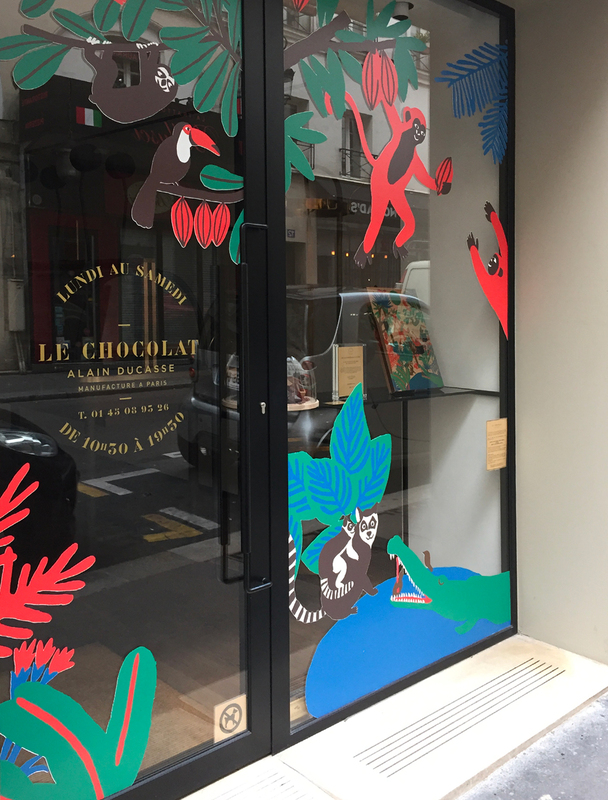 Art direction by Soins graphiques.